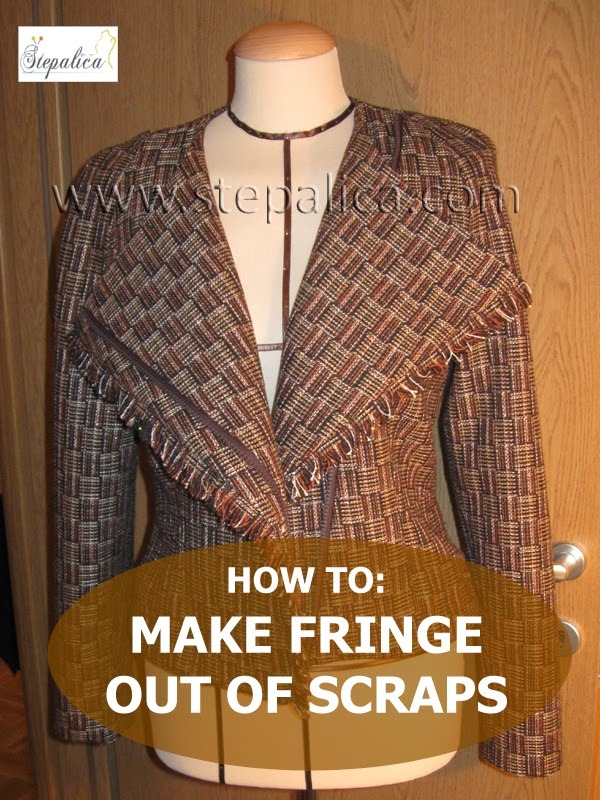 Today I'll show you how I made the fringe trim on my jacket, using fabric remnants. This is not a real tutorial, more of an idea exchange which you might find interesting. 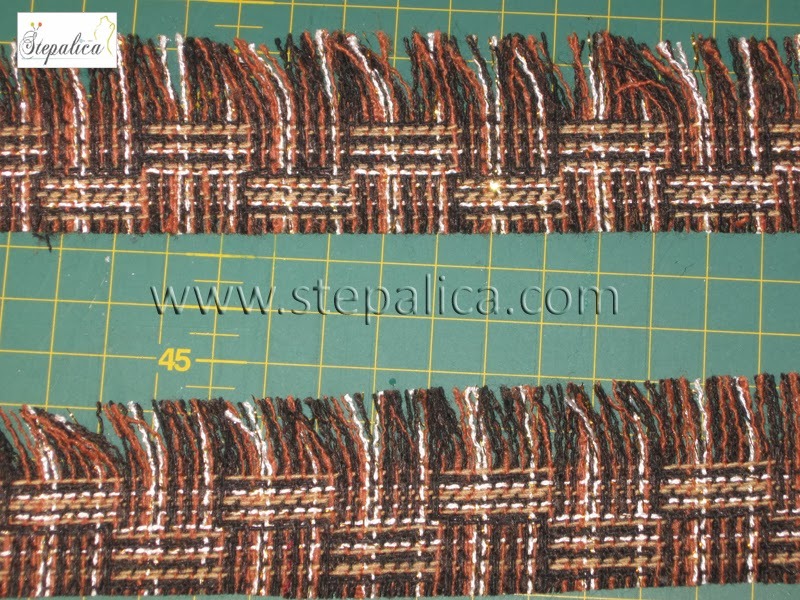 When I was sewing the jacket I was left with small fabric scraps that I wanted to use to make the fringe trim. I cut the fabric in strips of equal width, but they were quite short - 10 - 20 cm each, since I didn't have longer pieces of the fabric. 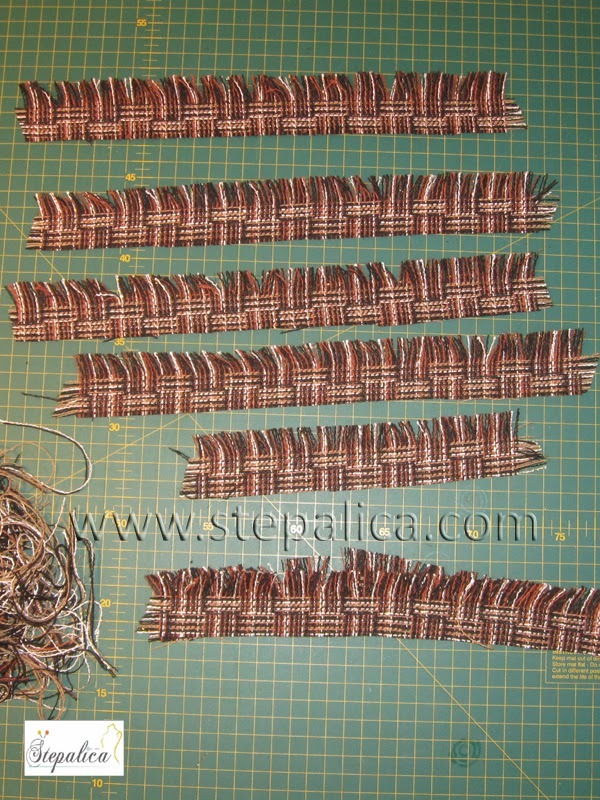 I frayed off several threads from each of the strips and got the fringe. I pinned the fringe strips to the edge of the jacket, overlapping their ends, in order to hide the transition from one strip to another. 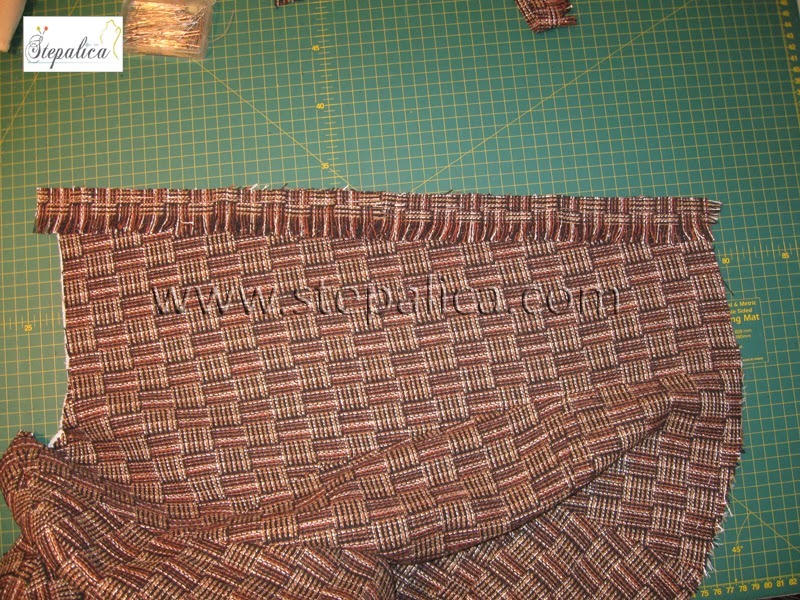 Note how I laid the strips - the fringe is directed towards the jacket's sides. From this point on, I finished the jacket using my standard process and attached the lining using the bagging a lining technique. In order to prevent further fraying of the strips, I sewed by hand a row of looped stitches, using a thread in the matching color. Since the stitches were quite tiny and the thread blended in, I wasn't able to snap a photo of the detail.